Pennsylvania is holding a U.S. Senate race this year (if you hadn’t heard, you are apparently not alone). Congressman Lou Barletta (R) is challenging incumbent U.S. Senator Bob Casey (D). While Casey and Barletta are the names on the ballot, Donald Trump is the issue in the race. Barletta has been joined at the hip with Trump on policy since becoming a very early supporter and co-chair of Trump’s Pennsylvania 2016 campaign. Consequently, Barletta is perceived as one of Trump’s acolytes while Casey has been one of his strongest critics. At the moment Barletta isn’t doing too well. The RealClearPolitics polling average has him down about 15 points. Why Barletta isn’t doing better is a good question. After all, the congressman is a four-term incumbent in his district (the old PA 11th which extends from the Pocono regions to southeast of Harrisburg). Moreover, in the district he’s been fairly popular, personable, and with some accomplishments. He was seriously considered for a major cabinet post (Labor) in the Trump administration and President Trump strongly supports him. In his youth, he was actually a decent enough baseball player to get a major league tryout. But Barletta is running far behind in spite of these qualities. Indeed, Barletta’s plight owes to the convergence of a virtual avalanche of political forces that threaten to fatally wreck his candidacy. His problems start with his opponent. He is running against a storied name in state politics, Senator Bob Casey Jr., the scion of a near legendary former governor. Casey himself has run five times statewide for three separate offices in the past 15 years, winning all in a landslide. He is a formidable opponent. But Barletta’s troubles run much deeper than Casey, offering in fact a case study about what matters when running for statewide office in Pennsylvania. The political resources any candidate needs to run successfully are well known. One of them is high statewide name recognition, which is a powerful predictor of electoral success. Another is timing. No one relishes running in a midterm year as a member of the president’s party. The president’s party usually takes it on the chin in the mid-term. The president’s popularity is also important. Candidates of the administration in power almost always do better the more the president is liked and his job performance is strong. Then there is money: always important in modern politics. As a challenger you would want either deep pocket supporters or the ability to personally fund raise – preferably both. Policy matters too: running on issues popular with voters is a big advantage to any candidate. Particularly important would be having a popular “signature” issue associated with your candidacy– one issue you are well known for. There also are a few other things good to possess. Experience running a statewide campaign is one of them, especially in a big, multi-media market state like Pennsylvania – while being the candidate of the largest (majority) state political party helps too. This is a pretty good list of the major political resources any challenger would want, especially running against a well-entrenched incumbent. It’s also a pretty good explanation for why Barletta is running 15 points behind Casey in the polls. “Name recognition” or more precisely lack of it illustrates Barletta’s challenge. Ominously, his name recognition is around 45 percent; that means half of the state’s voters have never heard of him. What about presidential popularity? In Pennsylvania, President Trump is treading water with an approval rating of about 38%. Not good for any candidate! And there is the mid-term problem – during mid-terms senatorial challengers of the president’s party beat incumbents 9% of the time – and 91% of the time they don’t. Money doesn’t augur well for Barletta either. Casey has been outraising Barletta about 7 to 1. Perhaps worse, the often-influential national Republican PAC’s are not putting significant funds into Barletta’s race. Issues also look problematic: Barletta’s overall record is strongly conservative in a state fairly described as center-right. Most precarious for him is immigration, his “signature issue”, where he is positioned hand-in-glove with the president. About one-third of Pennsylvanian’s approve while almost 60 percent disapprove of the Trump/Barletta immigration stances. Barletta’s immigration policies are particularly unpopular in the voter thick Philadelphia suburbs. Alas for Barletta, he also doesn’t score well in other important electoral assets, such as statewide experience, or running as the candidate of the majority party. He has never run in a statewide race, and his Republican Party has about 815,000 fewer voter registrations than the majority Democrats. Can we then say unequivocally that Barletta will lose his contest with Casey? No! Elections are unpredictable and electorates even more so. Donald Trump is just the most recent prominent example stretching back through American history of “sure loser” candidates that won on election day. But we remember so well the “underdogs” that win because they are the rare exception – and the only rare exception about this race so far is the unusual combination of forces arrayed against Barletta – low name recognition, bad timing, an unpopular president, feeble fundraising and weak issue messaging. Indeed, Barletta has found himself caught in a perfect storm: a confluence of hostile political winds relentlessly battering his campaign, making him the wrong candidate in the wrong race at the wrong time. It’s not hard imagining Congressman Barletta winning other races in other years. It’s just hard to imagine that happening in 2018. It’s Lou’s to lose……Barletta already has Casey beat….Think about it, Casey is running ads about sexual assault on college campuses…..Where ya been Sleeping Bob…..Paterno!! Sandusky!! Penn State!! Frat Boys killing frat boys. And now you want to do something about it?? And if you think about the legacy left to his son by Casey Sr….Sleeping Bob was asleep during the Kermit Gosnell fiasco as he owned and operated the Women’s Medical Society clinic in Philadelphia. 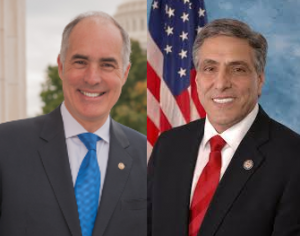 Sleeping Bob, well has obviously been asleep…..do the right thing PA, put Sleeping Bob Casey to bed, where he’s always been. Good luck. The only question for me is will “Lou” somehow manage to not lose by double digits. So you’re saying that being in the US House of Representatives isn’t an accomplishment? Neither Casey or Barletta are fit to serve the people of PA. Just look at the condition of Northeast Pa. They are part of the problem with the decaying condition of NE PA. It is a shame that these political delinquents are running for office. Heaven help our state with these two pillars of society seeking the office fot US Senator. For the first time in years Lou’s Hazleton showed a population gain thanks to immigration, primarily Hispanic. That meant more Federal $$ could come in and more new small businesses sprung up to meet the influx. Then Lou decided to chase the newcomer’s away and passed anti-immigrant laws. They got challenged in court and were ruled unconstitutional. Lou left Hazleton to hold the bag for the big bucks in court costs. Like Trump, everyone associated with Lou lost. Trump won in PA because Hillary lost. Had Trump run against Biden, Biden would have won in PA.
Biden is PA born. Usually Presidents win their home state, especially swing states. I read a Republican pollster honestly assessed the trouble with Wagner and Lou is in a large measure Trump. Who knows what the Gov race and Sen race would be with no Trump but one senses that the races would be closer. The pollster accurately assessed that Trump is so dominant that nothing else can get through. There can be no policy discussions with Trumpmania raging on and so it goes. For Lou and Wagner their lagging behind numbers have never changed since May and with less than 60 days till Nov 6th they both seem on an inescapable path to political oblivion. Which is a shame since, when it comes to the politics of resentment, they were Trump before Trump was Trump. Perhaps we’re tired of ideologues; perhaps we now just want the railroads to run on time. Mitch McConnell said yesterday that he knows this is going to be a challenging election. The races in Arizona, Nevada, Tennessee, Montana, North Dakota, Missouri, Indiana, West Virginia and Florida are compared to knife fights in an alley. Noticeably absent from this list is PEnnsylvania. Why? LOU was the wrong recruit for this race as Madonna & Young so succinctly point out in their article.Trump is an albatross around his neck. Barletta made a stop in my town recently and seriously there were only about 25 gathered to see him. He did get a front page story in the local paper. This prime Trump territory too, but I believe the MAGA’s won’t be voting much for a dark skinned guy with a vowel at the end of his last name. Casey is a category 5 storm that will force Barletta to evacuate from politics. Barletta has been best known outside his red Congressional district for his aggressively racist policies as Mayor of Hazelton. You’ve sanitized that by calling it merely an anti-immigration position. He’s lucky the race is not close because if it were, his record would be an issue. Your claim that he could ever win statewide is an insult to the fair-mindedness of most PA voters. Well, in fairness Trump did win and he shares Barletta’s views so I don’t the Authors are insulting anyone. The fact that Trump won in PA is not proof it will ever happen again. Trump could not come close to winning in PA even now, and it’s two more years of chaos and corruption to go, to drive non-Trumpians to the voting booth. The infrastructure and tactics Trump used are gone. The rightwing media is a shadow of its former self, post #metoo, and pundits are fact-checked in real-time now, instead of getting away with birtherism, Benghazi, etc. Trump’s reputation as the Most Famous Liar In The World, and the publicity of his obvious race-baiting and corruption, means that anyone who has a photo of him/herself at a MAGA rally is swimming against an increasingly cold and swift current. Donald Trump will never win another election, and few of his henchmen will survive politically. His name will be applied negatively to unfit politicians for generations. I agree with almost everything you type. However, all of us (me too) would have said Trump wouldn’t have won in the first place. I think it is 99.99999% likely that Casey wins and will do so by double digits. I don’t count out Trump in 20 btw. I learned that there are a ton more racists in this country than what I had previously thought. I was wrong. Yes, Trump ran as a racist. But voters thought he’d tone it down, instead of escalating it to the point of stealing babies from refugees. Trump’s disapproval ratings show he wouldn’t win PA if his reelection was held in Nov.
Racism by definition is insulting people. Now they want to build interment camps. They are not even shy about it. Anything could happen. We all know that. However, I asked 5 people I know yesterday who is running against Casey. Not one could answer and 2 of them are registered R’s.